black hole is nothing a a highly dense entity. Its like a compressed package. The gravity force is so high in a black hole that even light cannot escape it so basically we cannot see inside black hole at all from the outside. All we can see is event horizon. The black hole radiates energy due to hawking radiation where particles are annihilated and thus its event horizon is visible. Thus, black hole releases energy. 5 gram black hole can radiate and produce energy of about 3 times the atomic bomb dropped on hiroshima and nagasaki combined. We do not know what is inside the event horizon, thats why its called singularity. If light cant escape a black hole, nothing else comes even close for a try. The concept of time also freeze inside black hole. Time will literally stop inside black hole so if hypothetically if you stay inside black hole and come out you will see the world has progressed and your class mate is now 60 years old while you are still 25. Black holes are of different sizes. 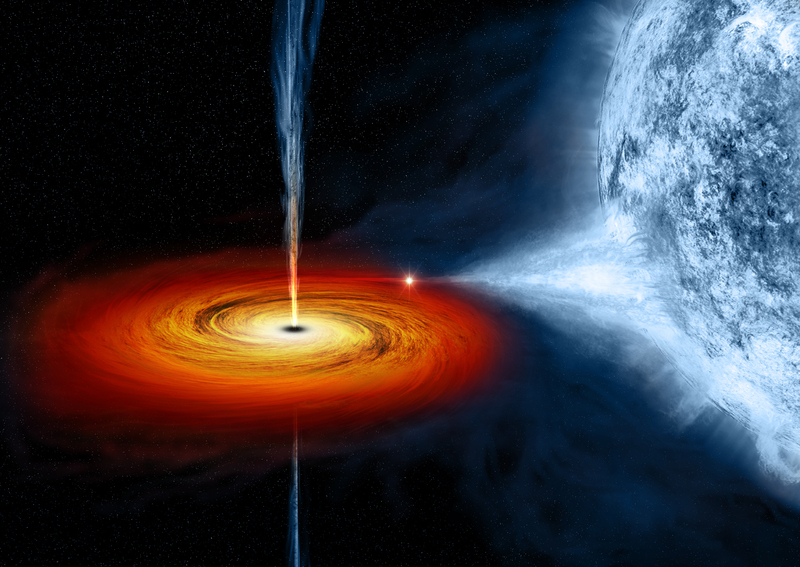 The ones which are extremely large are known as super massive black holes. They are huge and are located in centre of every galaxy. In fact the galaxy stays cohesive because of super massive black hole which ensures that the stars and planets stay kind of glued. The largest super massive black hole observed is S5 0014+81. it is 236.7 billion kilometres in diameter which is 47 times the distance between sun and pluto. Previous Where exactly are we!